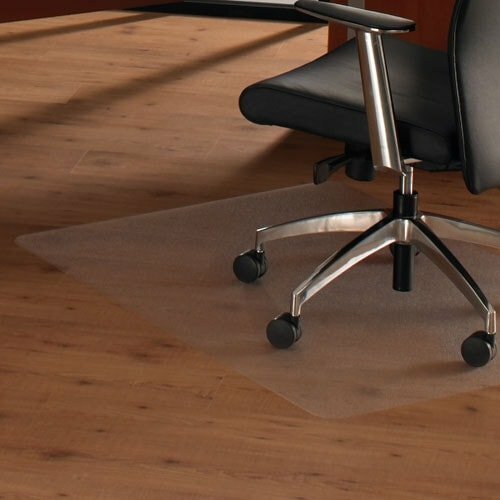 Transparent, sound absorbing floor protection mat to protect the floor from castors on office chairs and swivel stools. The polycarbonate mat is free from pollutants, emissions and softeners and can even be used in areas with underfloor heating. Protects the floor from castors on office chairs and swivel stools.